The second Award Ceremony of the People's Book prize took place at the elegant Stationers Hall on Wednesday 20th July in the presence of their patron Frederick Forsyth CBE. Authors, publishers, presenters and members of the press including Talent Television and Octopus MT attended the glittering evening. The People's Book annual prize was awarded to the top authors of Non-Fiction, Fiction and Children and the Beryl Bainbridge Award for First Time Author, to honour the memory of the founding patron. 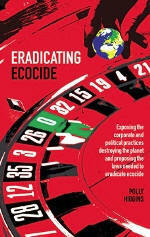 This year The People's Book Prize has introduced a new award for special achievement. Synopsis: Torpedoed by a German U-boat, adrift on the open ocean, gravely weakened and slowly dying of thirst - the odds of making shore are lengthening with each gruelling hour. Deliverance from purgatory on a decaying lifeboat will take something far more remarkable than sheer endurance... 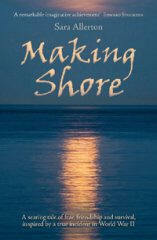 Inspired by a true incident in World War II, this novel is a searing tale of fear and survival, friendship and love. 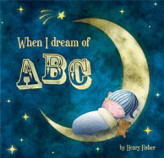 Synopsis: Enter the dreamy world of ABC in this soothing bedtime book. A humorous exploration of the many strange and extraordinary characters that inhabit a fantastical dreamworld, encouraging children to learn their ABC. From shy dragons to opera- singing mermaids, learning the alphabet has never been so fascinating. Author's Biography: Author and illustrator Henry Fisher studied illustration at the Camberwell College of Arts, London. He has a one-year-old son, who is featured on the cover of his first published book, When I Dream of ABC. A video game addict, he also has extensive experience in the film and television industry. Synopsis: A Keen climber, Alex dreams of scaling the Rock on which Edinburgh Castle stands. Is it this dream that makes him accept the challenge to travel back in time to the night of silent killing in 1314: a band of Scots rebels scaled the Rock and overcame the sleeping English soldiers. Author's Biography: As well as having a distinguished career in education, Morag Ramsey was, for many years, director of Chelmsford Theatre Workshop, receiving a prestigious Civic Award for services to the Arts. She went on to run the 'Save the Brighton Bandstand' campaign, drawing on her skills as a producer of shows. Synopsis: A new one-to-one reading scheme for learners aged from 8 to 80. 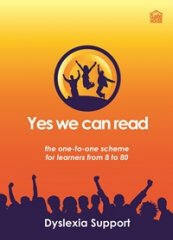 Yes we can read is a fun phonics-based programme to develop reading for meaning. Anyone who can read fluently can teach a non-reader or poor reader to read in six months or less. 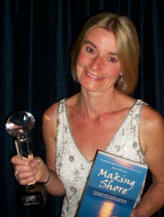 Author's Biography: Libby Coleman is a retired head teacher. She worked with people with severe learning disabilities and has lectured in special needs. 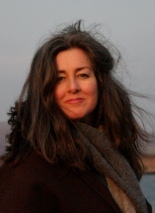 She works as a volunteer teaching reading in prisons and areas of social deprivation. Nick Ainley has spent most of his career working with adults with severe learning disabilities. The only democratic book prize voted for exclusively by the public and so it is the public who have a direct say in choosing Britain's next bestsellers. Founded in 2009, The People's Book Prize's goals are to get the nation reading, give authors and publishers equal opportunity in the marketplace, raise the profile of libraries and discover new talent. Working in partnership with Talent TV and OctopusMT TPBP are poised to fulfil their Founding Patron Dame Beryl Bainbridge's wish for The People's Book Prize to become the greatest.